Love Ke Liye Kuchh Bhi Karega is a Bhojpuri film directed by Dheeraj Thakur and produced by Satish Dubey. Film Love Ke Liye Kuchh Bhi Karega is full of drama, action romance. 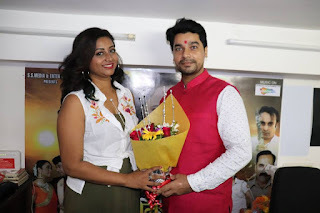 Vishal Singh, Mahi Khan, Raju Singh Mahi, Neelu Singh, Aayaz Khan, Surya Sharma, Sneha Mishra, Umesh Singh, Raj Kapoor Sahi, Gopal Rai, Brijesh Tripathi and others are in lead roles.